Xeikon announced an entry-level label printing and converting solution, offered at a price point that brings the lucrative label market squarely within reach for label converters of all sizes. The Label Discovery solution consists of a Xeikon 3030, an entry-level web-fed digital label press and the new entryDcoat, a digital converting line that can be used inline or offline with the Xeikon 3030. The new solution will be featured at the company’s booth at Labelexpo Americas, September 25-27, Rosemont, Illinois. “Although digital label printing has become a fast-growing mainstream business, some companies are still reluctant to invest in the technology – either due to the cost or lack of a truly professional-quality entry-level solution,” said David Wilkins, Xeikon’s Vice President of Sales for the North American market. “The lower cost of the Xeikon Label Discovery solution enables these companies to embrace digital technology and capture a business potential that previously required a steep investment – the crucial business of producing short-run labels. The Xeikon 3030 digital label press is a dry toner solution ideal for producing labels for a broad range of applications using standard flexo materials. 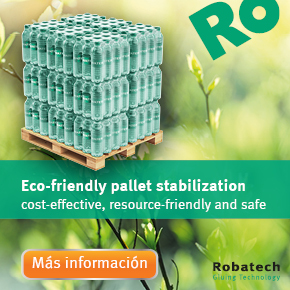 This avoids the need to use specially-treated substrates, and eliminates the associated warehousing costs. Its five-color printing features CMYK and white or even a special spot or gamut-extending color. Changing toner colors on the system is relatively easy, a clear benefit of dry toner compared to other printing technologies. In addition, dry toner is recognized as the best technology for food labels in terms of food safety due to its non-toxic nature. Xeikon dry toner has also received FDA certification for both indirect and direct food contact with dry food, which is unique in the digital landscape. The entryDCoat is a compact converting unit which consists of a varnish, die-cut and rewind station. To limit startup and tooling costs, the die-cut unit uses semi-rotary die-cutting technology. This ensures the lowest cost converting without loss of productivity while still delivering the well-known quality of conventional die-cutting. With semi-rotary die-cutting, costs can be reduced by as much as 50% with no need to acquire special tools and no setup time as required with conventional die-cutting. “We are looking forward to featuring the Label Discovery solution at a busy and exciting Labelexpo Americas,” said Filip Weymans, Xeikon’s Vice President of Marketing. “We’ll also be demonstrating the Xeikon PX3000 UV inkjet label press, as well as the toner-based Xeikon 3500 and Xeikon CX3 presses, offering attendees the ability to evaluate multiple technologies to determine what best meets their label needs.